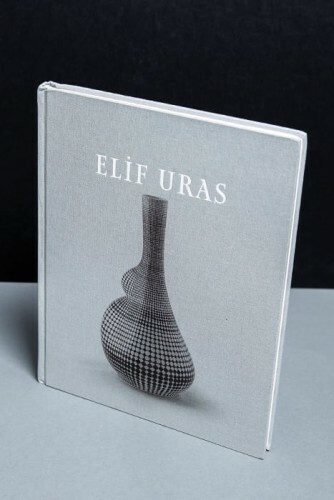 Elif Uras's first monograph, realized with Galerist and part of Kale Groups 2018 project in support of ceramics in art, explores the artist's practice spanning paintings, ceramic objects, installations and works on paper from multiple perspectives. ELIF URAS investigates the feminist undertones of her works, the diverse "traditional" techniques utilized in the ceramic objects, and how her unique patterning, ornamentation and narrative storytelling connect these works with her paintings. Elif Uras lives and works in New York and Istanbul. Texts by Ahu Antmen, Amy Smith-Stewart, Kathy Battista and Merve Ünsal. Conversation between the editor and the artist. Installation "The Source", historical site in Galata, Istanbul, November 24 - December 30, 2018.